Why are MySQL upgrades needed? The reasons are many and include: Access to new features, performance benefits, bug fixes…. However, MySQL upgrades can be risky if not tested extensively beforehand with your application because the process might break it, prevent the application from functioning properly – or performance issues could arise following the upgrade. Moreover, I suggest keeping an eye on new releases of MySQL and Percona Server – check what has changed in the most recent version. Perhaps the latest release has a fix for an issue that you have been experiencing. Upgrading between one major version covers upgrading from Percona Server 5.1 to 5.5 or Percona Server 5.5 to 5.6 and the same implies to Oracle MySQL. First of all, upgrading between one major version is neither straightforward nor risk-free. Initially you should read “Upgrading from Previous Series” documentation here and here. In that documentation, please place special attention to all of the sections marked “Incompatible Change” and check whether you may be affected by those changes. There might be configuration changes as well as variables renamed, a few older variables obsoleted and new variables introduced – so make sure that you adjust your my.cnf accordingly. For Percona Server specific changes please refer here and here for Percona Server 5.5 & Percona Server 5.6, respectively. Now there are several possible approaches you may take, where one may be more feasible than the other depending on the current replication topology and total data size – and one might also be safer than another. Let me show you an upgrade procedure… an example upgrading from Percona Server 5.5 to Percona Server 5.6. SQL dump on an old version and then restore it on a new version (using mysqldump utility or alternatives, like mydumper). Also in general the second type is safer, but as you may expect a much slower MySQL upgrade process. Here’s a basic procedure (you should stop application writes before starting). 1) Capture users and permissions information. This will backup all your existing user privileges. 5) Install 5.6 (simply as you would do when not upgrading). If you don’t use a package manager (yum/apt-get) then is likely that you need to run mysql_install_db and mysql_upgrade. 6) Load the users back to new upgraded version of MySQL. 7) Load the data back to new version of MySQL. At this point all tables have been re-created and loaded in MySQL 5.6 so every binary representation is native to MySQL 5.6. You’ve also completed the cleanest/most-stable upgrade path and your application can resume service – and for that reason it’s worth mentioning that this upgrade path is the same with either upgrading vanila MySQL or Percona Server. Further, you may upgrade from Oracle MySQL to Percona Server, for example, upgrading Oracle MySQL 5.5 to Percona Server 5.6. Again, the MySQL upgrade path as described would be the same as Percona Server, which is a drop-in replacement of Oracle MySQL. “SQL dump” is also known as a logical backup. It is safer in the sense that when restoring, all tables will be created using the format of the new MySQL binaries you’re using, which bypasses compatibility issues in general. Still for large data like data in terabytes, gigabytes… this may be a very time-consuming approach. On the other hand, by dumping/reloading such large data sets, it is possible that you will be able to recover a lot of free space on the disk as the InnoDB table spaces will be re-created from scratch, thus optimized and defragmented. If the data was often updated/deleted, the benefits may be significant. This implies to upgrading within the same series e.g. MySQL 5.5.35 to MySQL 5.5.38 or Percona Server 5.6.14 to latest Percona Server 5.6.20. This is known as an in-place upgrade, where you just install a newer binary package and then run mysql_upgrade script, which checks and updates system tables if necessary. Still, with the in-place upgrade we highly recommend checking release notes for new features, bug fixes, etc. For Percona Server 5.5 and Percona Server 5.6, release notes can be found here and here respectively. For Percona Server we have additional documents describing some details when it comes to upgrading Percona Server with a focus on Percona-specific features that can be found here and here. This also covers complete In-Place Upgrade procedure with the yum/apt package manager. Also, to be on safe side you can do the upgrade with a logical dump using the earlier described procedure via mysqldump or mydumper program – where the former does parallel backups and restore and logical backup – and is the safest approach for the upgrade. This includes upgrading from MySQL 5.0 to MySQL 5.5 by skipping version 5.1 in between or upgrading MySQL 5.1 to MySQL 5.6 by skipping version 5.5 in between. Further, this also includes upgrading to MySQL 5.6 directly from MySQL 5.0 although there should be very few users still using MySQL version 5.0. This also implies to Percona Server. For the topic, we would assume upgrading from Oracle MySQL or Percona Server 5.1 directly to version 5.6 by skipping one major version 5.5 in between. Before anything, this is a serious upgrade, and a huge step over one major MySQL version. That is, it’s risky. Upgrading by using just binaries update is not supported and it’s not safe skipping major versions in between, so you should never do this from 5.0->5.5, 5.1->5.6, and surely not for 5.0->5.6. One problem is that not all changes in MySQL versions are backwards compatible. Some differences were introduced that may affect both how the data is handled, but also how the server behaves including both SQL language and MySQL server and storage engines internals. Another thing is that between MySQL 5.0 and 5.6 versions, a number of default setting variables were changed, which may result in completely different, unexpected behavior. For example since MySQL 5.5 the default storage engine is InnoDB and since MySQL 5.6 by default InnoDB will use a separate tablespace for each table and GTID replication was also introduced. But there are many more details which I won’t list here. All of those changes are described in “Upgrading from Previous Series” documentation as described above. It’s worth mentioning that upgrading by skipping one major version is highly not recommended. Upgrading from MySQL 5.1 to 5.6 shouldn’t be done in one shot. Instead, I would suggest upgrading from version 5.1 to 5.5 and then from version 5.5 to 5.6 and running mysql_upgrade at each step. That will cope with the changes in formats as explained in the manual. MySQL upgrade precautions are an essential part of the upgrade itself. Before you upgrade make sure you have thoroughly tested all application parts with the desired version of MySQL. This is especially needed for an upgrade between major versions or if you are upgrading by skipping one major version in-between (e.g. upgrade from MySQL 5.1 to MySQL 5.6). While Percona Server specific release notes can be found below for same versions as described above. This is yet another important aspect of any MySQL upgrade. 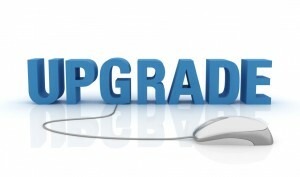 You should plan your upgrade along with an upgrade hierarchy. This is always recommend: upgrade your dev/QA servers first, then staging server’s before moving to production. In fact, you can spare upgraded instances where you have desired upgraded versions of MySQL and then test your application extensively. Once you are happy with the MySQL upgrade on your test servers, staging servers, etc., then you can begin the MySQL upgrade on your production servers. In replication environments we highly recommend upgrading the MySQL slaves first (one by one) and then finally upgrading the MySQL master. In reality, you can upgrade one of the slaves first and run it for few days to be on safe side – all the while closely monitoring its performance. If you don’t have a replication setup it may be worth creating a replica to test the newer version of MySQL on it first. Once you are happy with the results you can upgrade remaining the slaves and finally the master. In any MySQL upgrade, Percona Toolkit comes to the rescue. Percona Tookit contains a number of tools that help a great deal. pt-upgrade is one of such tool. It allows you to test whether the new MySQL instance handles some specific queries at least as fast as old version. There may be some substantial differences as the MySQL query optimizer has changed a lot between versions 5.1 and 5.6 and also data statistics may be refreshed, hence the query plan may change. You can check further in the manual about optimizer changes. pt-query-digest is another great tool that might help you in the upgrade. You can replay your slow query log against existing and new desired MySQL versions for before and after query performance validation. You can also benefit from Percona Cloud Tools for MySQL which is a hosted service providing access to query performance insights for all MySQL uses. You can signup for free now because this service is in public beta. Percona Cloud Tools, among other things, allows you to visually check your queries performance after a MySQL upgrade. It’s highly recommended to backup your data before your MySQL upgrade. Percona XtraBackup is free and open source (like all Percona software). It’s a hot backup tool which backs-up your data online without scarifying read/write ability from the database and it will backup your data with minor impact. Last but not least, You will find this post pretty useful, too: “Upgrading MySQL.” It’s a few years old but still very relevant. And also take a look at this informative webinar, “Upgrading to MySQL 5.6: Best Practices.” Both are from Percona CEO Peter Zaitsev. A MySQL upgrade might look like a simple task – but actually it’s not. 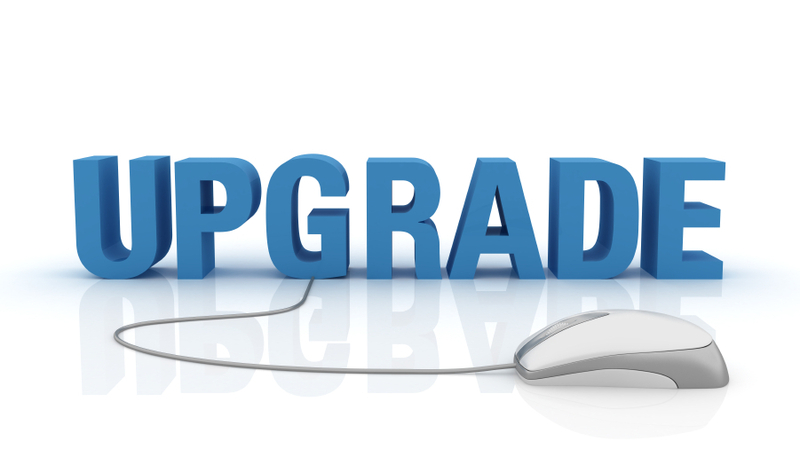 I’ve tried to cover most of the MySQL upgrade scenarios in this post that you will encounter. Again, I recommend to briefly test your application parts before pushing it “live,” otherwise it may break your application or part of it – or may minimize performance instead of a performance gain. Finally, I recommend having a downgrade plan in place before the MySQL upgrade just in case something goes wrong. Planning a proper downgrade procedure will minimize your app downtime when things go wrong. I’m looking forward to your comments and questions below. Muhammad Irfan is vastly experienced in LAMP Stack. Prior to joining Percona Support, he worked in the role of MySQL DBA & LAMP Administrator, maintained high traffic websites, and worked as a Consultant. His professional interests focus on MySQL scalability and on performance optimization.